Google may be sidestepping questions about Project Loon at its earnings call, but it has no problem fielding queries about its ambitious – and more than just a little whacky — balloon-powered wireless network on Google+. 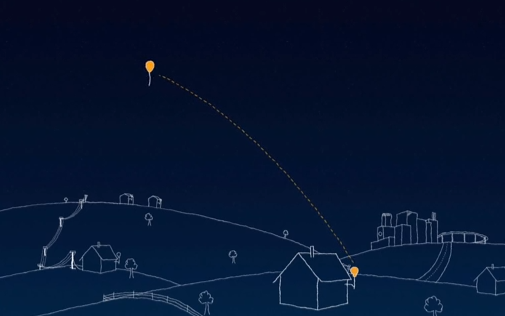 Ever since Google announced the X project this summer, the Project Loon Google+ page has been running a series of fascinating short videos addressing many of the technical and intellectual challenges in building an untethered network floating freely in the stratospheric winds. Those videos have dealt with everything from balloon spacing to parsing wind data, and on Friday Google posted an interesting entry about the antenna design of the Loon network. Many people have compared Loon to a satellite broadband network because on the surface that’s exactly what it resembles: a fixed transmitter on the ground pointing at an orbiting receiver in the heavens. In truth, however, Loon resembles the terrestrial cellular networks run by Verizon(s vz) and AT&T(s t) much more than they do any satellite constellation. As Loon network engineering lead Cyrus Behroozi explains in the video, most communications satellites are geostationary, meaning they’re following the Earth’s rotation over the same fixed point on the planet’s surface. From the perspective of someone on the ground, the satellite seems to hover in space, allowing you to easily point a dish directly at the source of your broadband connection. But in the case Loon, the balloons are floating in the stratosphere following its east-west winds across the globe. While Google will be able to control to a limited extent their spacing, speed and direction of travel by moving the balloons up and down into different air currents, the dirigibles will largely go where the winds take them. You can think of Loon as a mobile network in reverse. Instead of having a fixed grid of towers among which millions of subscribers are moving, Loon will have a have fixed grid of subscribers while the ‘towers’ move from place to place overhead. Consequently, Google has to deal with many of the same problems faced by mobile operators in getting Loon to work. One of those problems is resilience. In the mobile network, speed, capacity and network performance tend to suffer as you and your smartphone move further away from the tower. In the case of Loon, homes and businesses will stay put but Loon transmitters will appear and disappear over the horizon, handing off their signals to the next approaching balloon. That means your Loon connection will be in constant state of topological flux, continuously moving from cell center to cell edge. To solve that problem, Loon engineers have created a reflecting plate in its bulbous antenna design, which will capture signals even when the transmission path is at an extremely obtuse angle. According to Behroozi, the design results in uniform signal strength regardless of whether balloon is directly over your home or on the horizon. The design is actually rather simple, but Behroozi said that was the point. To get the project pilot launched, Google wanted to stick to the basics. Google would design much more sophisticated antennas for Loon in the future, he said. My bet is Google won’t get too complex in its designs, though, for reasons of both maintenance and cost. These balloons will be floating in the stratosphere where they won’t be very easy to fix if they malfunction, and if Loon really does take off, Google will launch tens — if not hundreds — of thousands of them into the heavens. At that kind of scale, cheap hardy equipment will be a big priority. Wow, this is going to be huge folks!! !